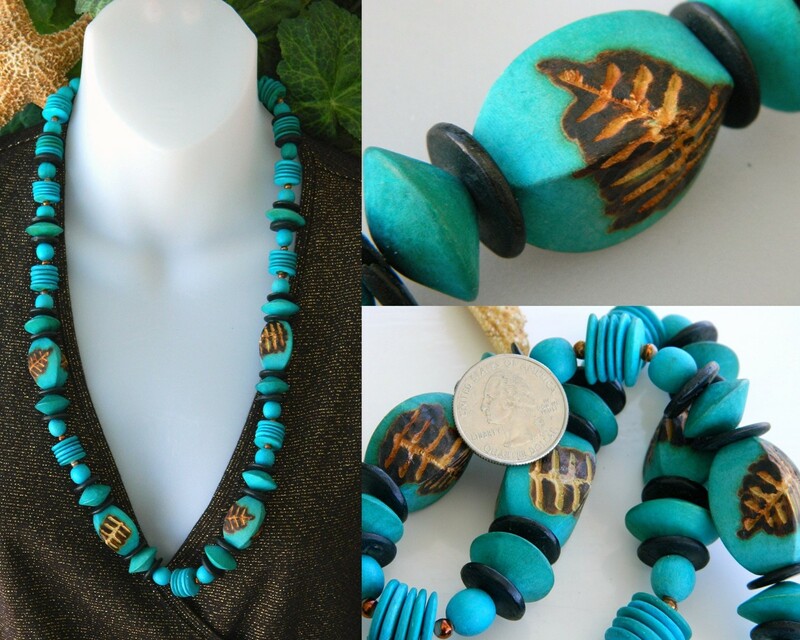 Vintage Handmade Wooden Necklace Chunky Turquoise Beads Long 28 Inches Woodburning Carved Burnt Wood Leaves Leaf Fern Design Retro Look Aquamarine Aqua Boho Bohemian Colorful Fun Variety of Sizes Geometric Hippie Style This is a gorgeous vintage big and chunky wooden necklace that is from either the late 1960s or 1970s. 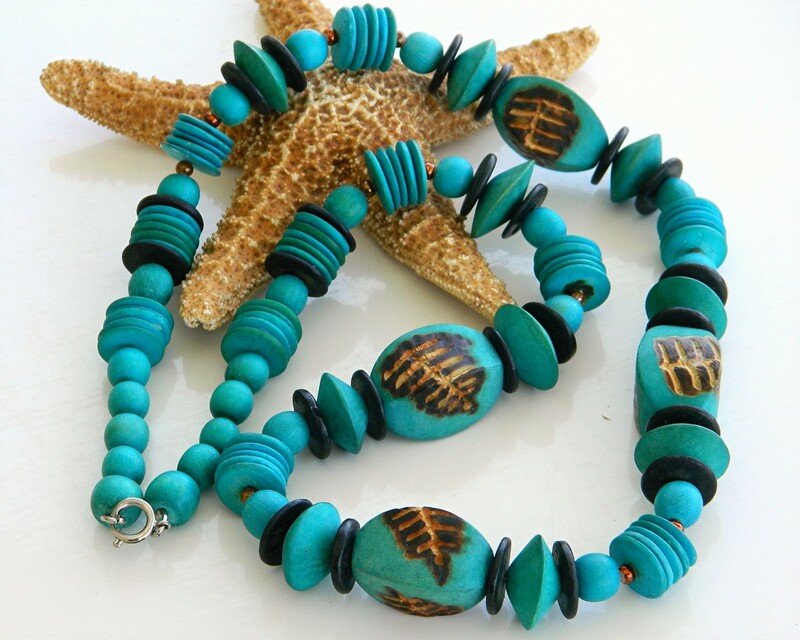 The turquoise wood beads consist of small round beads, discs or disks in black and the turquoise, saucer shaped beads and small copper and white beads as spacers. The largest beads with the wood burned leaf or fern design on them measure approximately 1 1/8 by of an inch. 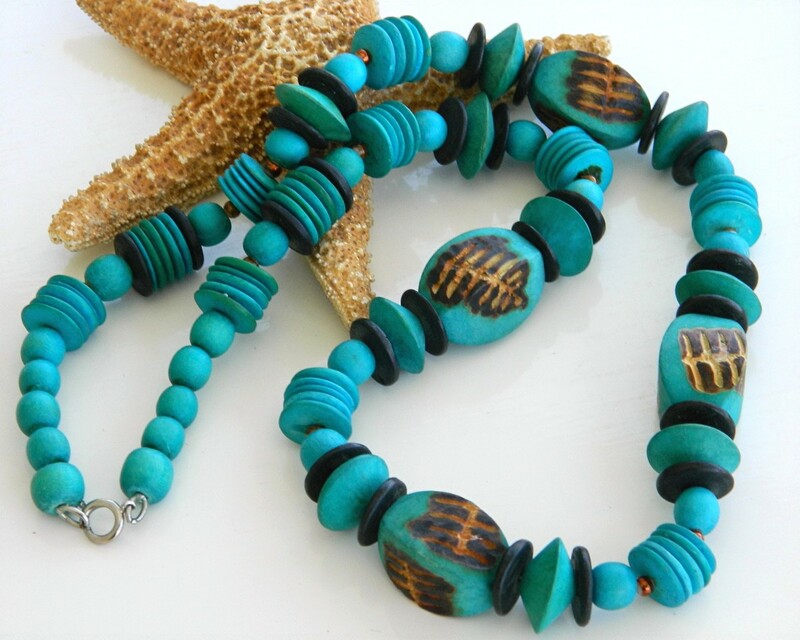 They are so unique, the wood burning adds depth to the beads. This is a nice and long necklace that measures 28 inches in length. It is in wonderful vintage condition as you can see by the enlarged photographs. There are no missing or broken beads. 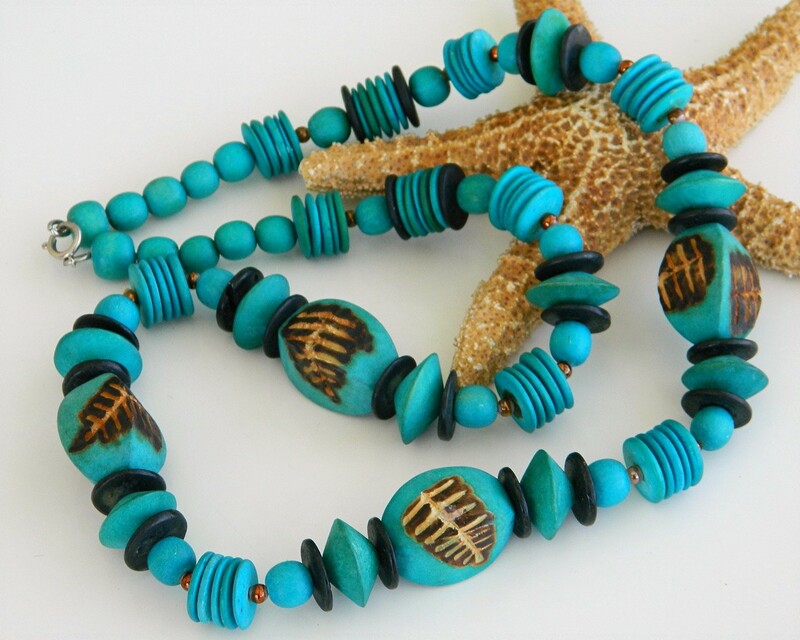 This would make a stunning bold runway type accessory for any outfit from your little black dress to your favorite pair of jeans. 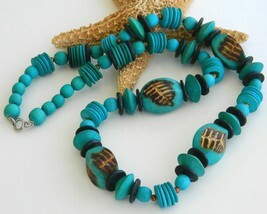 It is the perfect addition to your collection of vintage wood jewelry. 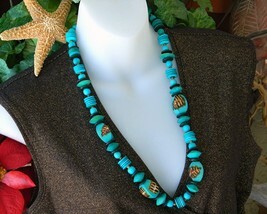 This will be sent 1st Class Mail with Tracking/Delivery Confirmation. For more information about me and booth policies, click on Starfisher's Stars at the top of this page, it will take you to the main page of my booth. Thanks for visiting!